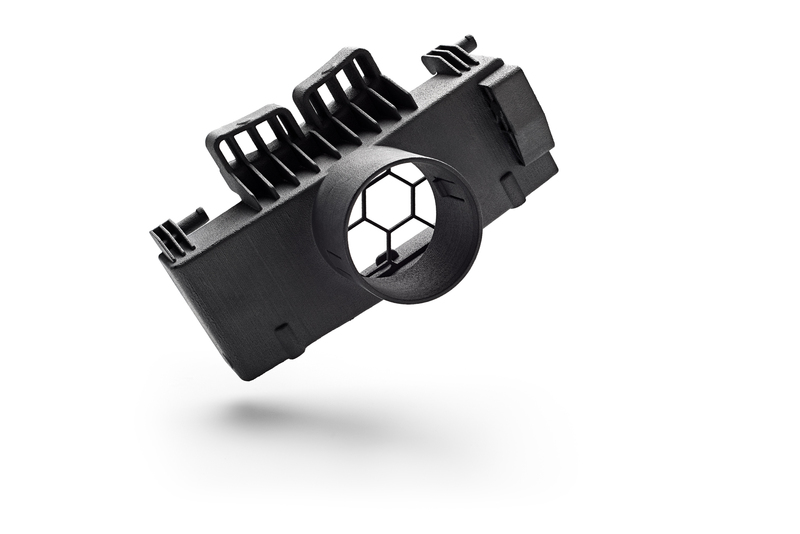 LOOKING TO 3D PRINT PARTS WITH HP MULTI JET FUSION TECHNOLOGY? Whether you’re seeking to create prototypes or final parts using thermoplastic materials, HP Multi Jet Fusion (MJF) technology has the solution to help you produce strong, functional, and detailed complex parts with optimal mechanical properties.1 Achieve excellent dimensional accuracy and fine detail2 thanks to HP’s unique multi-agent printing process. See for yourself why companies like yours are turning to HP Jet Fusion 3D Printing Solutions and how you can reinvent without limits, voxel by voxel. To learn more about HP Multi Jet Fusion technology, please complete and submit the form below. Once we receive your information, we will contact you to better understand your 3D printing needs.i We may also direct you to third-party service bureaus with HP Multi Jet Fusion 3D printing expertise who can provide you with your prototype or production needs.ii We may provide your contact information to several of our parts suppliers. In addition to providing you with information on HP Jet Fusion 3D Printing Solutions products, services, and events, you agree that HP may share the information on the form above with third-party service bureaus who have expertise in HP Multi Jet Fusion technology. HP may, at any time and at its sole discretion, (1) not fulfill any request or (2) change or discontinue this program. By clicking Submit, you agree to the terms and conditions outlined herein and on this website. 1. Based on the following mechanical properties: Tensile strength at 48 MPa (XYZ), Modulus at 1700 -1800 MPa (XYZ). ASTM standard tests with HP 3D High Reusability PA 12 material. See http://hp.com/go/3Dmaterials for more information on materials specifications. 2. Based on dimensional accuracy of ±0.2 mm/0.008 inches, measured after sand blasting. See http://hp.com/go/3Dmaterials for more info on materials specifications. Based on the following mechanical properties: Tensile strength at 45-50 Mpa (XYZ), Modulus 1600-1900 Mpa (XYZ). ASTM standard tests with PA12 material. See http://hp.com/go/3Dmaterials for more info on materials specifications. i HP reserves the right to change the products and services at any time. ii You are responsible for contacting the third-party service bureaus if you are interested in their 3D printing services. You agree that HP does not provide 3D printing services and HP has no liability relating to the 3D printing services performed by the service bureaus. You agree that the purchase of 3D printing services from third-party service bureaus does not assign any agreement between you and the service bureau to HP. You are solely responsible for the performance of obligations under such third-party agreements, including payment for any third-party printing services.